If you are selling online, or are forming a subscription box start-up company, you need good systems to efficiently fulfil orders, manage stock and balance the books. You also have to give more than a passing thought to your packaging. With affordable technology on side, there’s never been a better time to start-up your own business. Whatever your idea, the starting point should always be to clearly define your ideal customer and identify exactly what they want. It’s important to consider the entire customer journey, not just the specific products or services you are selling. If you want to attract and retain customers, you need to make your brand memorable by giving customers a positive experience. This involves getting it right from the first impression, right through to the after service support. Your delivery box is likely to be the first physical interaction with your brand; make it count! Printed boxes needn’t break the budget and it can help you build brand awareness from the off-set. All it takes to customise a box is a simple print and your logo. There are a number of cost effective solutions to help you present a professional image. Flexographic print is a popular option that Aylesbury Box Company recommends to many budget conscious businesses. Find out more branded delivery boxes as an affordable way to put your stamp on every order. For retail products, packaging design is even more essential. In this case, attention to detail can really count and we offer an extensive range of high quality print finishes. With heightened awareness of sustainable packaging, you don’t need to go all out to make an impact. Even established brands are opting for subtle design, limited colour ranges and stylish fonts. The cost of posting goods is now determined by the size of the package, as well as the weight. Whether you are shipping to retailers or direct to customers, you need lightweight, yet protective, solutions. If you work with a box manufacturer, you can get advice on how to package and deliver goods in the most suitable sized boxes for your products. This helps you to avoid excessive posting charges. In the case of delivery boxes, it also removes the need for filler materials. We all know that the best deals often come with a bulk purchase, but as a small business you are unlikely to have the cash or storage space to buy packaging in bulk. The last thing you want is to be short of money and space, so it is often best for a start-up company to opt for a low volume order. As business grows and you use data to forecast future orders, you can adapt your packaging order to best suit your requirements. 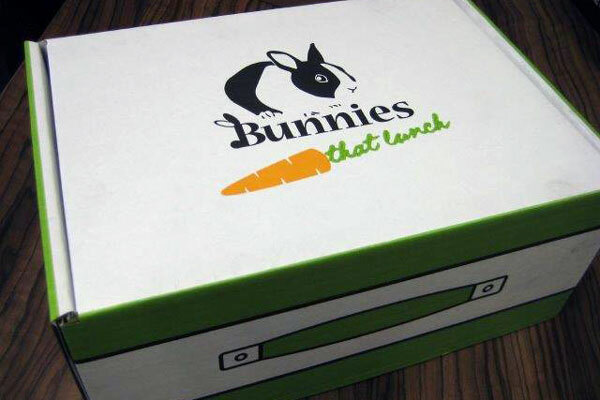 Aylesbury Box Company has worked with many start-up companies to provide good value on low volume orders, a great example is the Bunnies that Lunch subscription box. Speak to us on 01296 436888 and we’ll help you to get the right packaging solution when setting up your business.